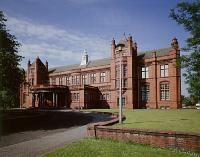 Situated in Whitworth Park to the south of Manchester city centre, the Whitworth Art Gallery is famous for its collections of art and design. The Gallery is home to an impressive range of watercolours, prints, drawings, modern art and sculpture, as well as the largest collections of textiles and wallpapers outside London. The Whitworth uses its collections to create changing exhibitions exploring different themes, as well as hosting a programme of innovative touring exhibitions. Curators regularly rotate the artworks on display in the galleries so there is always something new to see. A selection of tours, lectures, practical workshops and concerts accompanies the exhibition programme. Comprehensive educational programme for all ages - please telephone for information. In Whitworth Park opposite Manchester Royal Infirmary, 1½ miles from city centre. Frequent buses from Piccadilly Gardens. About 1 mile from Oxford Road station.